The Anaheim, Calif.-based startup could seek Chapter 11 protection sometime within the next week, the people said. Fisker is in discussions with possible buyers to purchase the company in a bankruptcy auction, the people said, though the company hadn't reached a deal with anyone as of Monday. Fisker dismissed 150 of its remaining 200 employees last week to conserve cash after sale discussions with two Chinese auto makers faltered. Fisker remains in discussions with those companies, Zhejiang Geely Holding Group and Dongfeng Motor Group Co., 0489.HK +1.69% and others ahead of the expected bankruptcy filing, one of the people said. The company, which has not manufactured a car since last July, carries an estimated $192 million in federal debt. 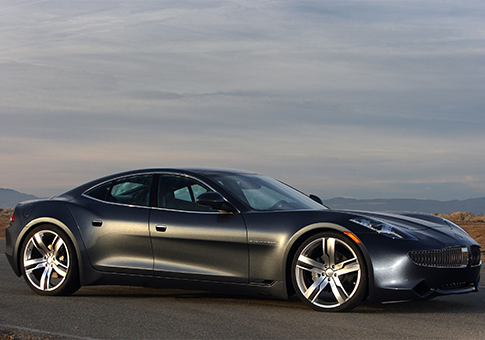 The Department of Energy froze Fisker's loan in 2011; originally, the company had been awarded $529 million. Fisker has faced a series of troubles over the last few years, exacerbated by the bankruptcy of its battery provider, A123 Systems in October of 2012. A DOE grant recipient, A123 has since been acquired by a Chinese firm and reincorporated as B456 Systems. This entry was posted in National Security and tagged A123, B456 Systems, Fisker, Obama Administration, Progressive Movement. Bookmark the permalink.